← The tump is open! Apple Day is only two days away so time for the last-minute details. Weather forecast is currently sunny, so should be another good one, no raincoats necessary! 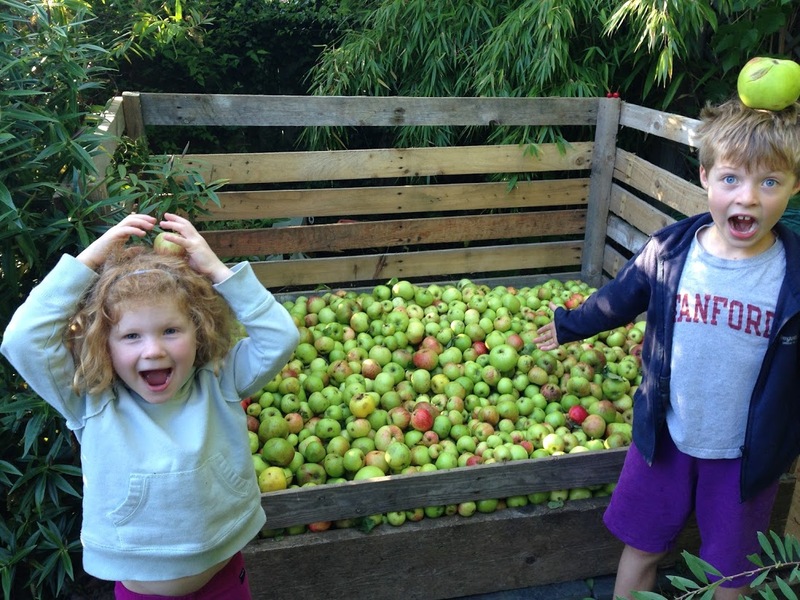 The tump is already brimming with some beautiful apples, we’re expecting lots of lovely juice this year. But, as always, the more the merrier so if you have a source of apples get picking and bring them along. As usual we’ll be starting around 10 a.m., aiming for the first pressing at around 11 a.m. There’s a lot of sterilising to be done in the early morning, so if want to help out with that, you’d be very welcome. 3. If you can, bring some food – Jane is preparing overnight pork with apple sauce again, ideal when you’ve worked up an appetite pressing apples. The brilliant Balzano’s Delicatessen has donated the bread rolls again. If you can bring some kid-friendly snacks or cake it would help a lot. Extra points awarded for dishes involving apples.